Julianna has been creating art all her life. 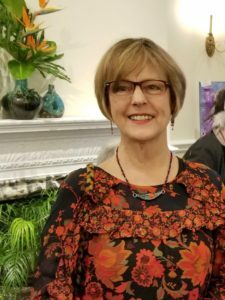 She worked as an art teacher and artist throughout her adult career and since retirement has embraced her art making on an active gallery level. She was educated in art throughout her undergraduate and post-graduate years and has developed a love for glass. It has become her primary medium. Her explorations with glass led to several offshoots. She has art pieces that are often seen in juried and invitational exhibits, pieces she designs for retail boutiques, and a line of fine jewelry pendants that are both uniquely attractive and affordable. 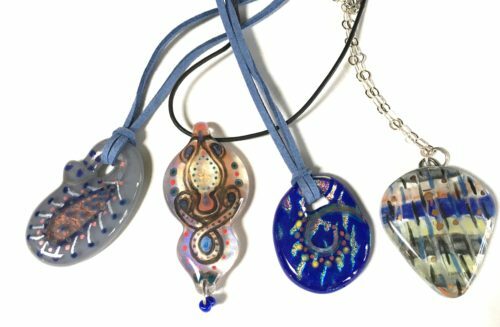 She has continued learning on a professional level in kiln formed glass techniques. Her love for glass is evident in the execution and passion she gives to her art form and teaching. 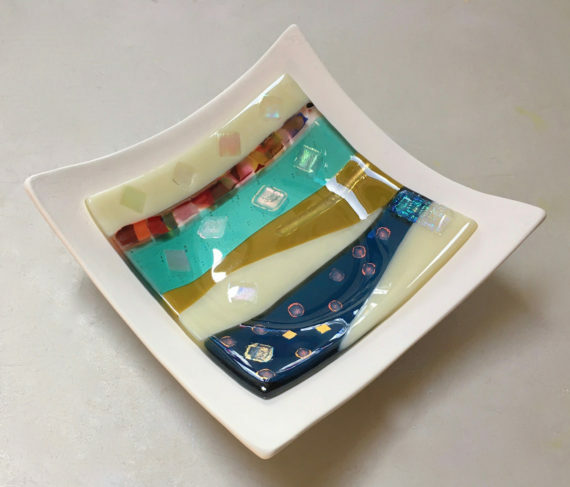 She continues teaching post-retirement to teach glass in her home studio, Gallery North workshop classes, Bayard Cutting Arboretum and the BOCES Eastern Suffolk art enrichment program for secondary school students in Suffolk County, NY. She is the Glass Media Chair and on the board of the Long Island Craft Guild and member of Women Sharing Art, Inc. from Long Island, East End Art, & Patchogue Art Councils. She resides in Brookhaven Hamlet, NY. “Making art is a central core of who I am and what makes me happy and validated. I enjoy the technical aspects of using materials and I am thoroughly smitten with glass fusing. I have 33 years of experience with glass and always try to mesh my foundation skills with original design ideas to keep my work unique and appealing to viewers. I want them to return to my pieces and look again. 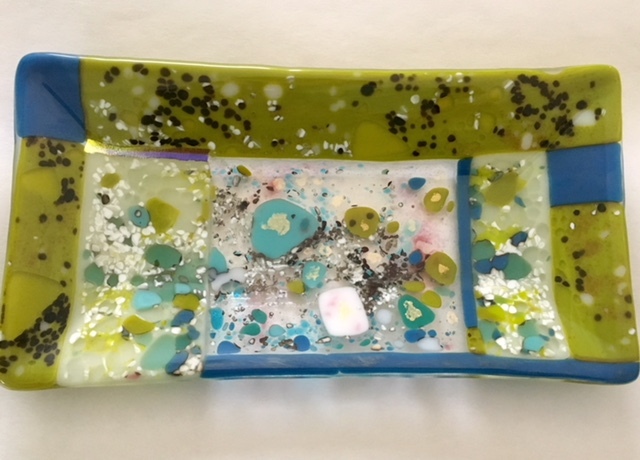 Intro to Fused Glass Pendant Class Fee: $75.00 plus a $25.00 materials fee. 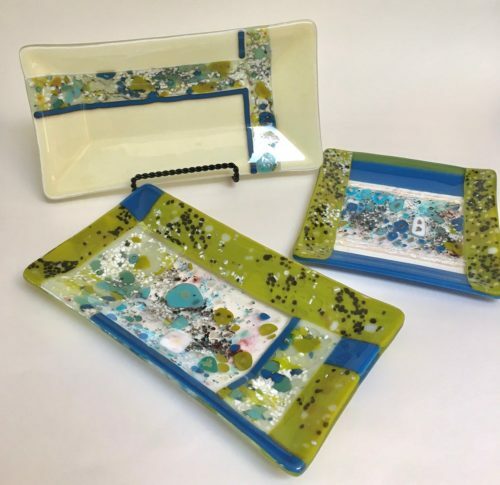 | Two-Day Fused Glass Dishes Class Fee: $125.00 plus a $45.00 materials fee.